USB 3.1 Type C adapter - Converts micro USB to the new USB 3.1 Type C connector (Samsung 8 series, and many more). 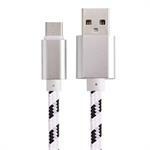 Braided heavy-duty USB cable - for SAMSUNG, LG, MOTO., Android, etc. 3-foot length; USB2.0 at one end, micro-USB at other end. Durable alloy plugs ! 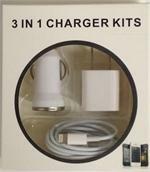 MO-V9-AC : Wall Travel Charger (micro USB plug) for Cellular Phones. Worldwide input! MO-V9-AC : Wall Travel Charger with Micro USB connector. Worldwide input. Fits Motorola, SAMSUNG, Kindle, HTC, LG, BlackBerry, Samsung, Kyocera, etc. Powers phone and charges battery at the same time. USBAPP8BG: Charge & Data Cable for Apple, 3-foot Braided cable with Alloy Plugs. High-Durability, resists breakage! USB Type C 3.1 Charging and Data cables. For Samsung Galaxy S8, S8 Plus, Nexus 5X, 6P, OnePlus 2, 3, LG G5, G6, V20, HTC M10, Google Pixel XL, and many more. Choose 6-ft or 10-ft length. Heavy-duty Braided cord, Alloy plugs. Premium quality ! 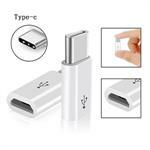 USB-S5-CD: Charge and Data Cable for Samsung Galaxy S5, Galaxy Note 3. 36" long. 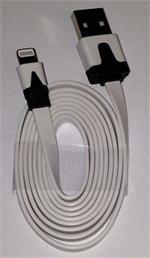 Heavy-duty cable, with reinforced plugs. Enables high-speed charging and data transfer. ACUSB2: AC-to-2xUSB Power Adapter. Plugs into wall outlet (100-240VAC worldwide); has 2 x 5VDC USB2.0 outputs. Provides 1A to each port simultaneously, or 2A to 1 port. Perfect Travel Power Supply for phones, tablets, GPS, MP3, MP4 etc. PPUCLIP: PowerPort CLIP USB Battery Charger. For 3.6-3.7volt Li-ION batteries. Plugs into USB2.0 port; has adjustable charging contacts & holder. 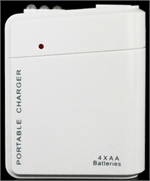 Charges Li-IOPN battery directly & smartly. 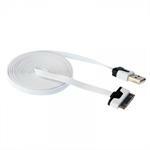 USBOTG-Micro : USB2.0 female to micro USB adapter cable for data transfer. 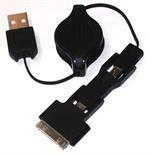 Micro USB end fits in all portable devices with micro USB jack (Samsung, LG, Motorola, etc). 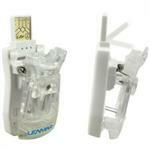 Enables high-speed data transfer. MD818ZM/A: Lightning to USB Cable. For charging & data transfer. For iPhones & iPads. Has 8-Pin lightning connector at one end, USB2.0 at other end. Genuine Apple product; certified; works for all Apple device operating systems. 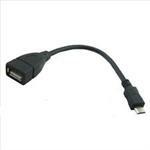 USBOTG3.0 : USB2.0 female to micro USB3.0 OTG adapter cable for Galaxy Note 3 etc. 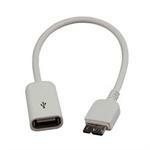 USBOTG3.0 : USB2.0 female to micro USB3.0 OTG adapter cable for Galaxy Note 3 etc. Approx. 8" long. Enables high-speed data transfer. USB-DC-DP4.1: DC-USB vehicle charger for Smartphones and Tablets. Total combined output is 4.1A max. Charges phones at 1A rate, and Tables at 3.1A rate. 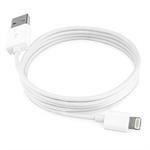 MD819ZM/A: Lightning to USB Cable (2m). Apple Charging & Data cable - for iPhones, iPads. Genuine Apple product - works for all Apple iphones & iPads, all operating system levels. Genuine new Apple product in sealed box. 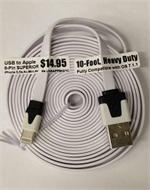 USB-APP8-6MFi : USB-to-Apple 8-pin lightning cable, 6-ft length, silicone flat noodle wire, MFi certified (works with all Apple OS versions and upgrades. Fits iPhone 5, 5c, 5s, 6, 6 Plus, iPad, iPad mini, iPad Air.